One of Nike’s most popular aesthetics as of late has been satin-infused offerings with Chenille detailing that gives off a decidedly vintage varsity jacket-like look. 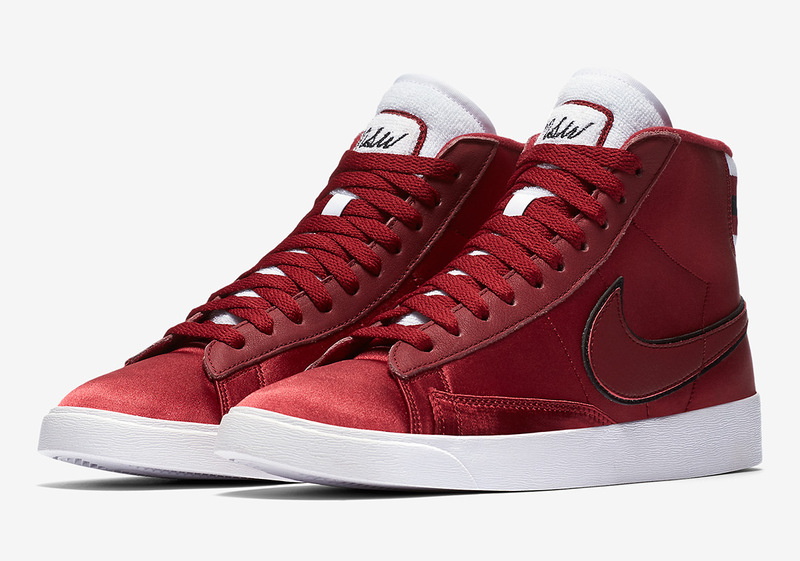 Next up to join those ranks is the women’s exclusive Nike SB Blazer Mid that sports an almost entirely Red Crush color scheme with white and black accents. The vast majority of its upper dons a satin construction while its customary tongue – that adds the new cursive NSW logo – and throat opts for the luxe chenille that would normally adorn the school logo of one of those aforementioned jackets. Its heel unit sports a jacket like motif as well, as its striped pattern and material represents the cuffs that come at the bottom of one of it’s sleeves. Peep an official set of imagery for this new ladies only Blazer below and head over to Nike.com to grab one while supplies last.